Snacks are big business in Japan, and not a day goes by without some new gum, candy or other sweet confection hitting store shelves. 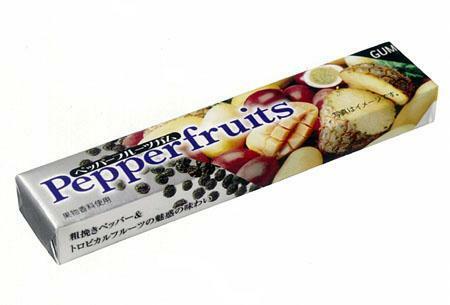 Pepperfruits, the new gum from Kracie, just might be "crazy" enough to make a lasting impression. 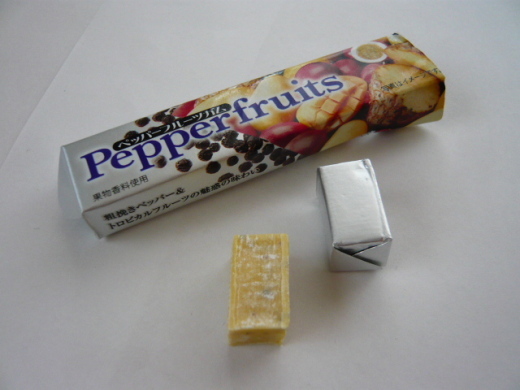 Pepperfruits, the peppery new fruit-flavored gum from Kracie... well, why not? 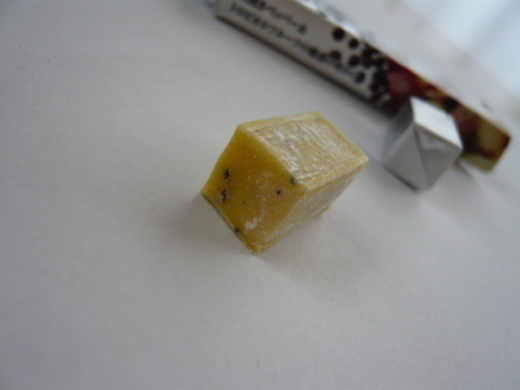 Pepper's table-mate, salt, has been paired with sugar before, most notably in saltwater taffy and Payday peanut candy bars. A peppery new tropical fruit gum strikes one as odd at first but on second thought, it just might work! 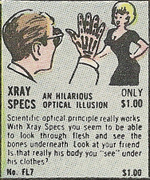 I mean, it's not like pepper gum is some sort of joke, a novelty you might find for sale on the back page of an old comic book along with x-ray specs and soap that turns your hands black... wait, what?? In Pepperfruits, Kracie (no relation to "crazy", I think) combines a variety of exotic fruit flavors with real black pepper. You can see the grains mixed into the gum matrix... to be caught in your teeth and crunched upon much later for a flashback blast of peppery hotness. This reminds me a lot of the trick gum you would find in joke shops as a kid.